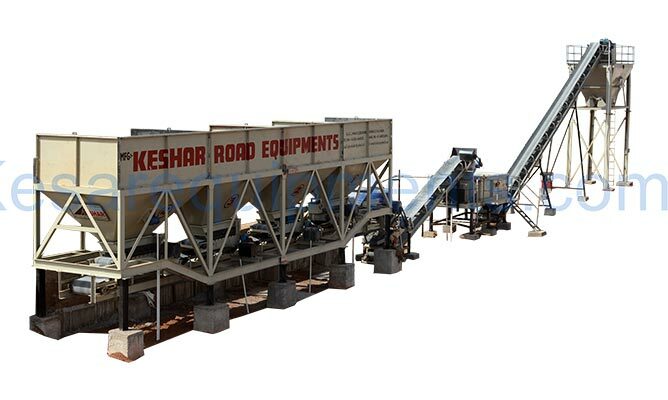 We are a prestigious Manufacturer, Exporter and Supplier of Wet Mix Macadam Plant, Wet Mix Paver Finisher, Asphalt Drum Mix Plant India. The Wet Mix Macadam Plant that we offer guarantees a high production of superior quality CTAB. We have designed Wet Mix Macadam Plant with easy add on optional ancillaries to meet the challenging requirements of job sites. Our Wet Mix Macadam Plant is known amidst our clients for its robust construction, optimum quality and cost-effectiveness. Vibratory Screen for Removal of Over size Material. Automatic AC Control Panel board for operation of Plant (Without A.C. and Cables). Slinger Conveyor to feed material from Feeder to PUGMILL unit and a load cell Frame with Load cell for weighing Aggregate flow. Weather Proof Control Cabin with Glass window for complete view of Plant. Pugmill Mixing Unit to Mix Material with a Discharge of water to prepare a Homogeneous Mixture, and provide a Hardened Quality of Water resistant Paddle Arms for Long Life. Water Tank with Water Pump and Flow meter. Four Bin Feeder with individual AC Drive and Reduction Gear for each auxiliary and Conveyor Belt under each Bin and AC Motor for a long Gathering Conveyor for transfer of Material to the slinger Conveyor. Load Out Conveyor with an anti segregation Gob Hopper with hydraulic Power pack unit to Discharge the Material into Transfer Vehicle.